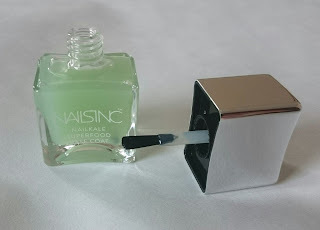 I've heard some great things about both ranges and own many products from both but a girl can never have too many and I've been dying to get my paws on the new Nailkale Superfood Base Coat! I'll start the with the Nails Inc Nailkale Superfood Base Coat. First up I adore the packaging. It's a lovely shape and so easy to use! NailKale is the first superfood nail range made with Kale for stronger, healthier nails. Nails Inc say it's dermatologically tests and also contains aloe vera, ginseng, pomegranate, grape and lemon. It's also enriched with vitamins and together it's meant help protect your nails against breaking and splitting. 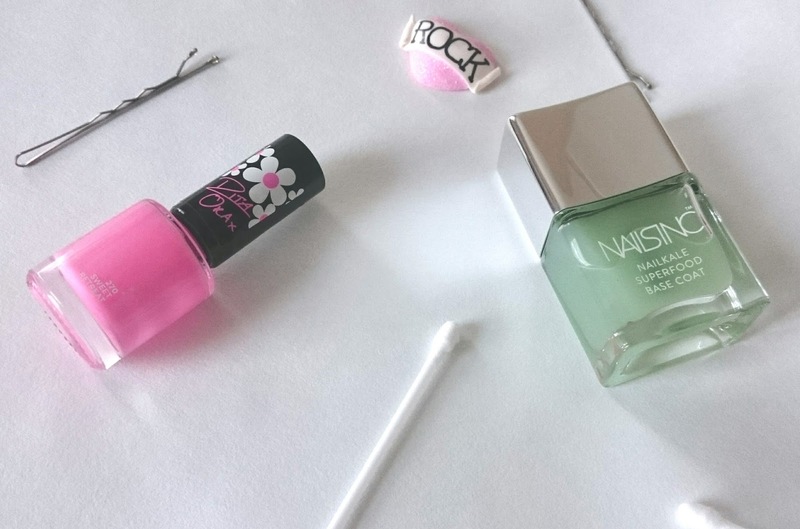 I was a bit wary with just how green this nail varnish is. It's not the most pleasant shade of green but I am very pleased to say it doesn't dry with a hint of green! It simply leaves your nails looking shiny and healthy! I've only used this once so far so I'm not sure if the formula gets a full thumbs up from me but it's definitely made my nail varnish last longer and it dries super quickly. It would be perfect if you work in an environment you can't have painted nails but want to protect them. I'm looking forward to using this product more and I'll keep you updated with my results! Everyone's heard of the Rimmel 60 second Rita Ora range by now haven't they? I already have a few and I love how quick drying the range is, which has made it a repurchase for me! In the beauty box I receieved the shade 270 Sweet Retreat which is a gorgeous pink, that almost has a vintage tone to it. 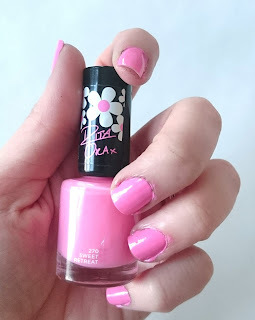 I'm not usually one for pink nails but I do like to mix it up now and then so I wasn't upset to get this shade! However this is where the problems started for me. I know from experience I get the best coverage with two coats of polish however I have three on and it's still a bit patchy. I have darker patches of pink and some where it looks like it hasn't stuck to my nail, in all honesty it could probably do with at least another coat. Please excuse the painted fingers, I wanted to take a photo before the natural sunlight disappeared! I'm not sure this one will be a firm favourite and it's a bit of a shame it takes so many coats to get a lovely true colour but I will still repurchase polish from the 60 second range in future, I'll probably just stick to the dark colours! Have you tried either of the ranges? I'd love to know your thoughts! lovely photos and a great review. 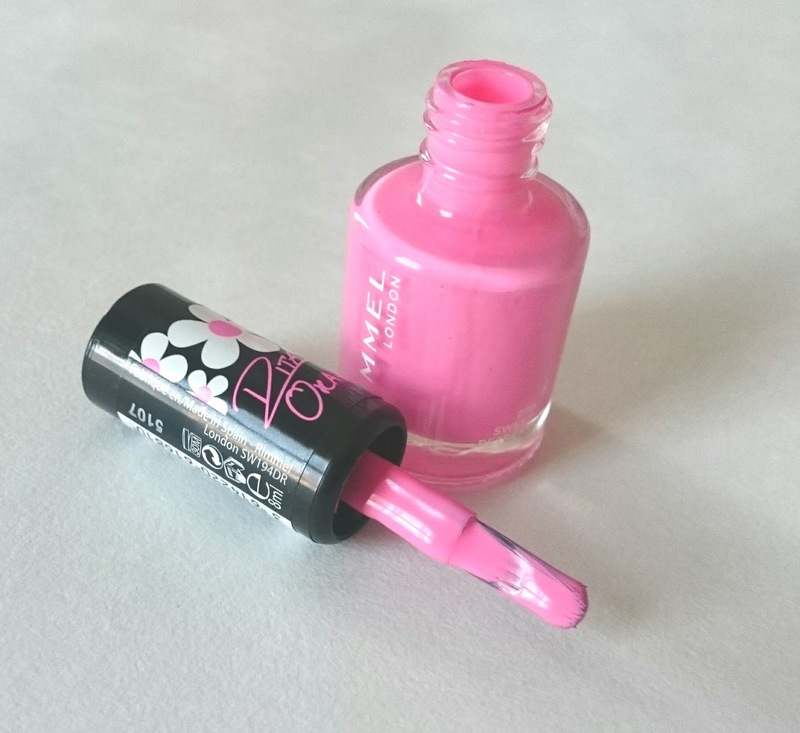 Nails Inc is one of the few brands I'm not fond of although I love Rimmel and that pink colour is gorgeous.